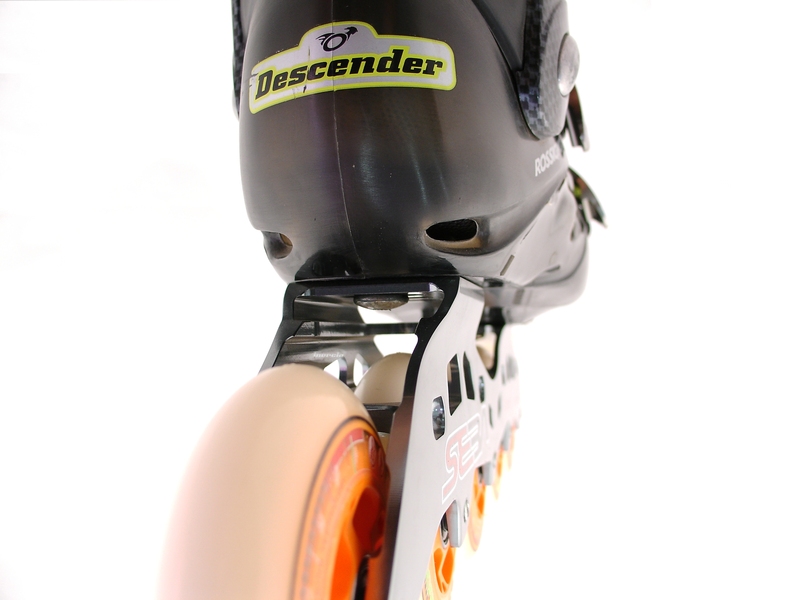 Here is the result from the Hyb-Ride Custom dont vous êtes le héros topic : a Rossignol Descender with Seba Downhill frames. 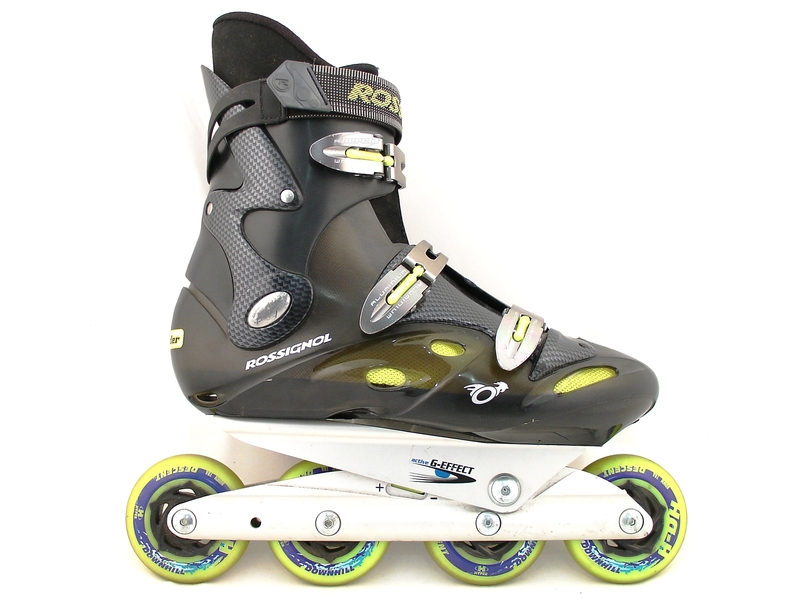 Definitely more than one downhill skater’s dream skate, but nearly impossible to assemble nowadays since Rossignol stopped producing the Descender around 2002. No modifications were necessary to achieve the frame centring seen on the photos, as the frames fit perfectly using the original bolts and mounting holes. 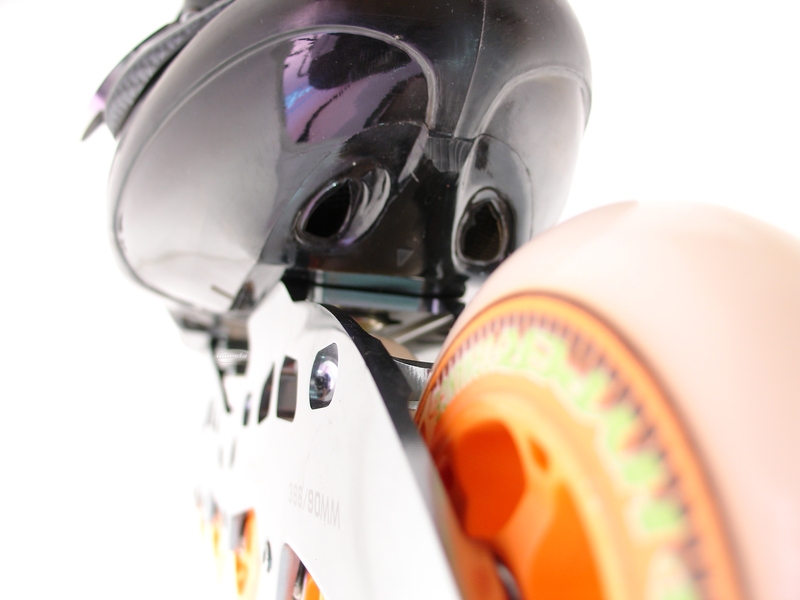 No plates were required either, as both the boots and the frames have wide mounting areas and match very well. Definitely a trivial custom. 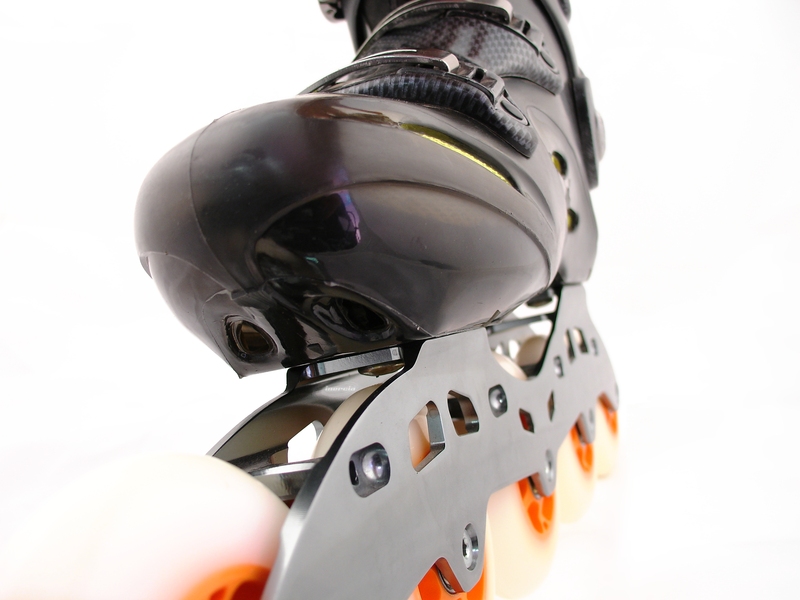 The skate is on display at Inercia Barcelona all summer 2010. 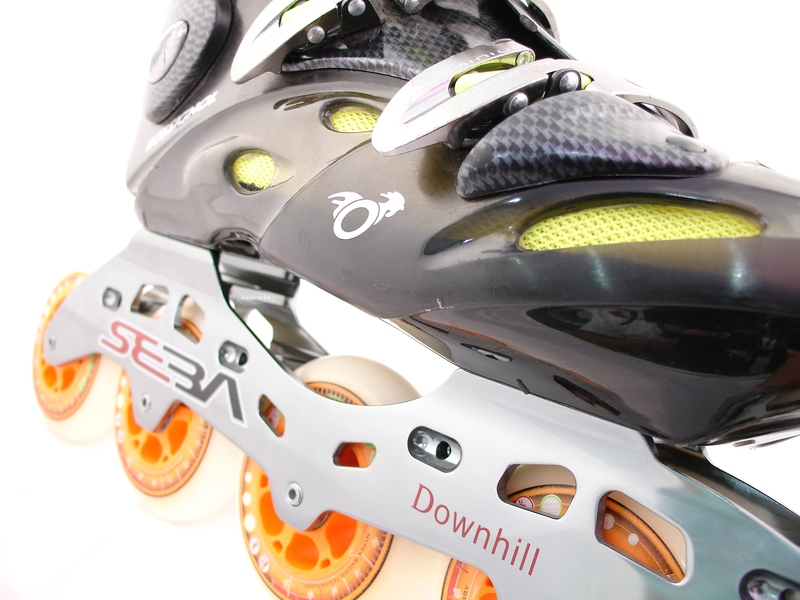 As you say they are the most amazing skates for downhill and i am desperate to get hold of a pair. Do you by any chance know any one who has these for sale either second hand or new? 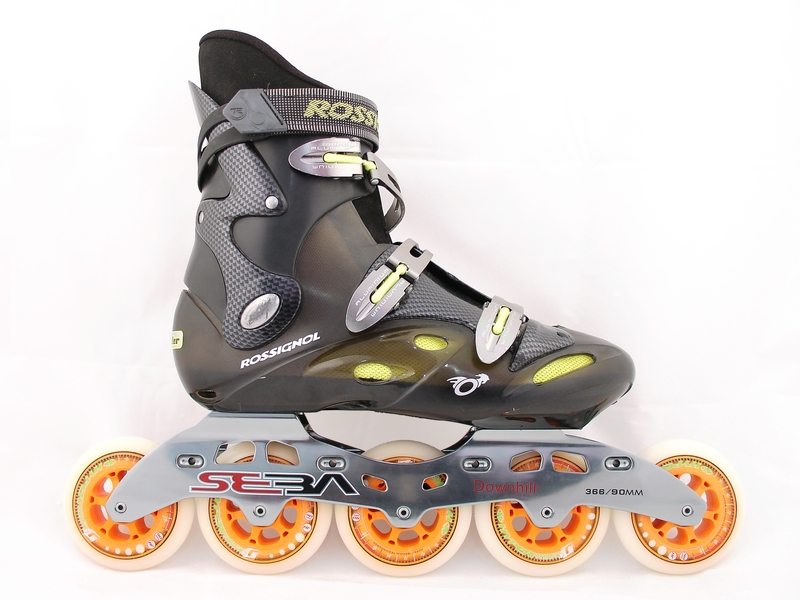 Sorry, none of my own skates are for sale. I found those on eBay a few months ago, though I really think it was a once in a lifetime chance, especially since they were exactly my size!